Tablets are the latest and greatest headline-grabbing gadget but with every manufacturer rushing to create the next iPad the market is flooded, leaving potential tablet owners dazed and confused by the immense choice. 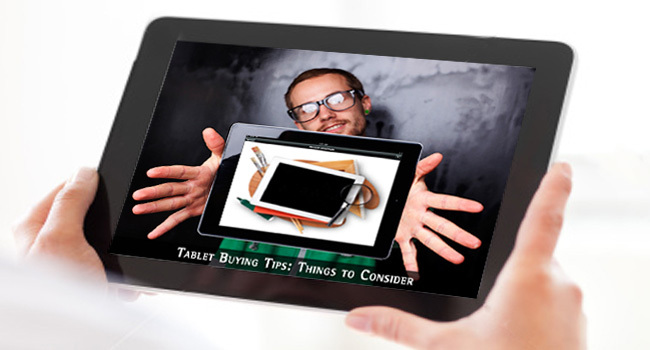 Let’s cut through the chaff with some tips to help you make the right decision and pick up that perfect tablet. This is the first decision you need to make when buying a tablet. The Apple iPad is the single most popular tablet on the planet. 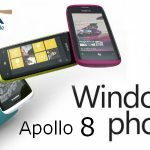 It’s known for ease of use, excellent build quality, great performance and a vast library of applications. Competing against Apple is an army of tablets running Google’s Android operating system. This is where things get complicated because there are a huge number of Android tablets, ranging from incredibly cheap no-name models to expensive devices aimed at taking on the iPad. On a tight budget, Android is the obvious choice as you can pick up a tablet for very little. At the higher end, Android tablets can have very powerful specifications and extras like USB ports which you won’t find on an iPad. One point to consider is that if you already own an iPhone or other Apple device and have purchased lots of apps and games from the Apple App Store it makes sense to go with an iPad so you can continue to use the same software. Android’s biggest advantage is its flexibility, while it doesn’t have iTunes to manage audio and video files, copying data to and from an Android device is straightforward and there’s a wide variety of software on the Android Market, too. Ultimately your decision is going to come down to what you want to do with the tablet. The iPad provides a slick, user-friendly experience with tons of games and many cool creative apps. Android offers a little less variety on the software front but a greater amount of power and control for more technical endeavors. Like any other computer, tablets have reams of hardware specs to decode, but there are three key things to look for on any tablet. Since tablets are mostly screen the display is vitally important. Tablet screens generally range in size from 7-inches to around 10-inches, smaller models are obviously more portable but the larger tablets make for a better web-browsing and movie-viewing experience. Also pay attention to screen resolution, which tells you the number of pixels in the display – higher numbers are better. Look out for screens using IPS or AMOLED technology, as well, as these are usually much higher quality. Memory is another factor worth noting, you’ll want plenty of drive space to store downloaded apps as well as your own files. More expensive tablets will typically have 16, 32 or 64GB storage built-in, while cheaper tablets may have just a few GB, though this is not usually a problem so long as they also have a memory card slot which will allow you to add more storage at any time. Note that the iPad does not have a memory card slot so you will be limited to the onboard storage. The other major bit of hardware is the processor. Too slow and you’ll find the tablet is irritatingly sluggish even when you’re just opening apps and navigating through menus. If you’re interested in gaming, high-definition movies and other demanding tasks then consider the newer tablets which have a dual core or quad-core CPUs. It’s definitely worth trying out a tablet before you buy though, rather than going on numbers alone, as even a fast processor can be scuppered by poor software. Tablet Buying Guide - Which Tablet Should I Buy? Do you Need a Tablet or a Laptop? With few exceptions (which we’ll come to in a moment) a tablet cannot replace a laptop. It’s not just the lack of physical keyboard or smaller screen, it’s an absence of expansion ports to support peripherals and the fact that tablet software is not as comprehensive or powerful as a Windows or Apple computer. If you are really in need of a laptop then you should check a laptop buying guide that will help you choose the best one according to your needs. If you’re looking for something that’s very compact, light and has decent battery life but will still allow you to work and play on the move then you may be better served by a netbook or ultrabook laptop. Tablets are fantastic for web browsing, ebooks, comics, video and music and increasingly popular as portable game devices but lack the power and flexibility of a laptop running Windows or Mac OS. We did mention there are some exceptions, however. The Asus Transformer and Transformer Prime are tablets which include hardware keyboard docking ports complete with USB ports and touchpad, essentially netbooks with exceptionally long battery life. It’s also possible to purchase keyboard accessories for other tablets such as the iPad, though this does not offer the same level of integration or features as the Asus Transformer series. If one is going to buy a tablet then i will recommend iPad :) iPad is best. Thanks buddy for the informative tips to buy a tablet. Thanks for the info, going to buy a tablet soon, these tips surely help me. Thanks for sharing this awesome tips. but I have one question – may be my question not belong to this article Actually I want to purchase a tablet. Can you tell me which is the best tablet under 10k. It’s depend upon your need, compare different tabs then decide.